I know this photo is technically terrible, but it is my current absolute favorite! This was also my absolute favorite part of the weekend...watching my daughter dance and laugh and play with kids that look a lot like her, that were born in the same place she was, and who now are a part of mixed families just like ours. There is nothing like their joy and there is no replacement for a network like this...for the kids and for the parents. We are beyond blessed to have such an amazing Latin American Adoptive Families group in our community and are thrilled to be a part of it! 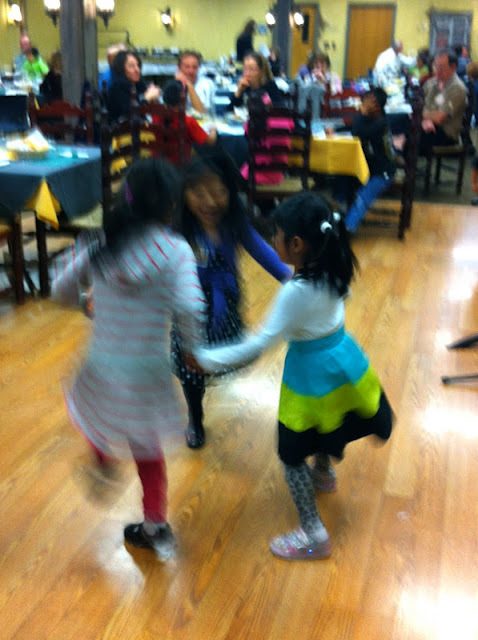 This weekend was our annual Fiesta, which is always so much fun! You'd think EJ would have been excited to see her friends (she was) and that she may have chosen an "extra fancy" outfit for the occasion (she did), but the thing she was waiting and waiting and waiting for cracks me up. 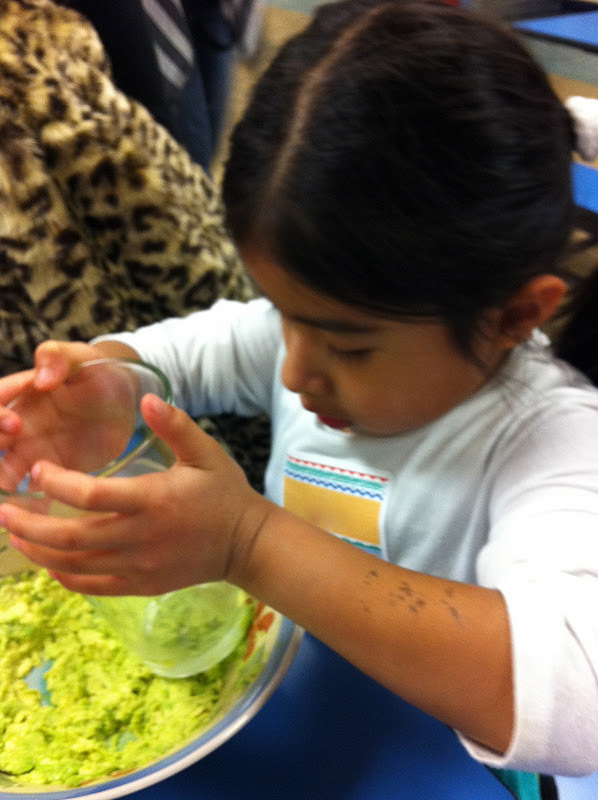 We did a workshop with a local chef to learn how to make guacamole. She could not wait...and she did a great job making, and tasting, our guac! One last simple pleasure from the weekend was watching the annual pumpkin smash. I try to just be the documentarian of the operation but Matt and the kids are extremely hands-on! I have a ton of photos of the destruction, but I thought this one was pretty darn awesome. This is EXACTLY what I needed on a dreary Monday morning. Thanks to these pictures I'm a smiling fool right now! I think it's a great photo because it really catches their movement a spirit so well! LOVE that last photo! Also, love that you have such a neat supportive group for EJ. What a gift. Pumpkin smash! What an awesome idea! I so wish our Guatefam/LAfam group was better/more interesting. It hasn't worked out that way, but maybe it sjust time for me to get on it and start one. i love how liv is running away before the pumpkin smashes. classic look on her face! ej on the other hand can't get close enough!